Xiaomi has launched its second gaming smartphone Black Shark 2 in China. The device is a successor to Xiaomi’s Black Shark and the device will likely launch in India very soon. 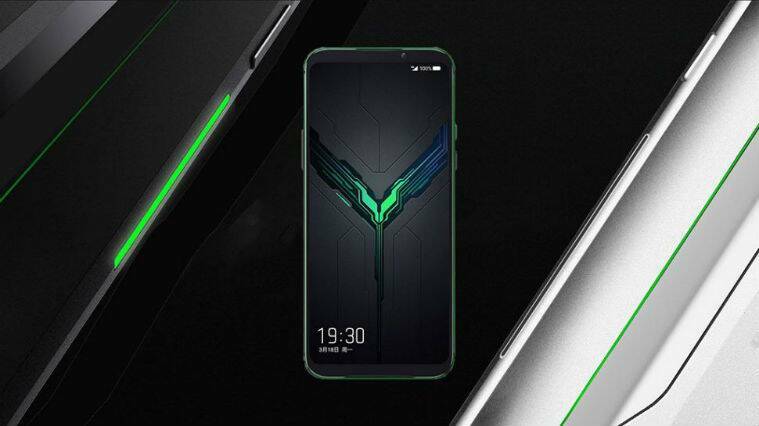 Xiaomi Black Shark 2 succeeds the Black Shark in terms of specifications and design. The phone aims to compete with gaming phones from Asus, Nubia, and Razer. The Black Shark 2 is powered by Qualcomm Snapdragon 855 processor paired with up to 12GB of RAM and up to 256GB of storage. The phone’s 6.39-inch AMOLED display with 1080×2340 pixels resolution has been made by Samsung which also has a pressure-sensitive system that allows a harder press in order to trigger. Xiaomi says that it has optimized the phone’s display by improving colour accuracy, reducing screen flicker at low brightness, and lowering touch latency to 43.5ms for gaming purposes. The device also has an in-display fingerprint sensor. Xiaomi Black Shark 2 has a 4,000mAh battery with support for 27W fast charging. It gets 48MP+12MP dual rear camera sensors and a 20MP selfie camera. The gaming smartphone features a vapour chamber cooling system that has been designed to keep the phone from overheating during the gaming session. The phone also comes with optional accessories such as a handheld grip for a better gaming experience. Xiaomi has launched the Black Shark 2 in two colour options — Frozen Silver and Shadow Black — and two storage models in China. The base variant with 6GB RAM+128GB storage costs Yuan 3,200 (Rs 32,600 approx) and the 12GB RAM+256GB storage model costs Yuan 4,200 (Rs 42,800 approx).